‘Healthy’ and 'desserts’ don’t usually belong in the same sentence, but that’s exactly what The Dessert Kitchen endeavors to do. They source out the best natural ingredients both here and abroad to come up with items that are not only amazingly delicious but also proudly less sinful. For those who have not visited the place yet, it might seem like a difficult stunt to pull off. 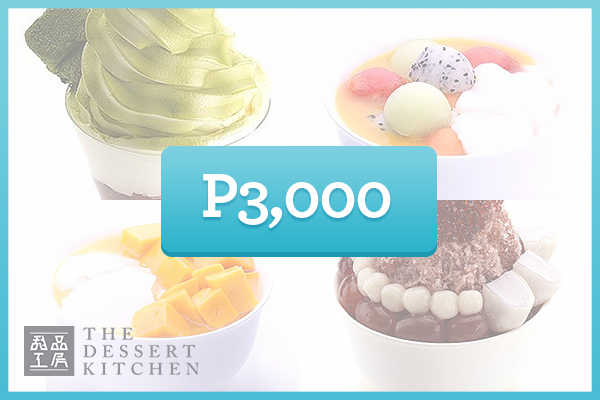 However, for the repeat customers who have made The Dessert Kitchen popular through endless snapshots of their mouth-watering menu, it’s definitely a done deal. Try anyone of their parfaits and ice creams and discover for yourself what many people already have – that indulgence can be a good thing. The Dessert Kitchen is a franchise from Hong Kong. It’s by the same group behind Lugang Café and Tuan Tuan Chinese Brasserie.